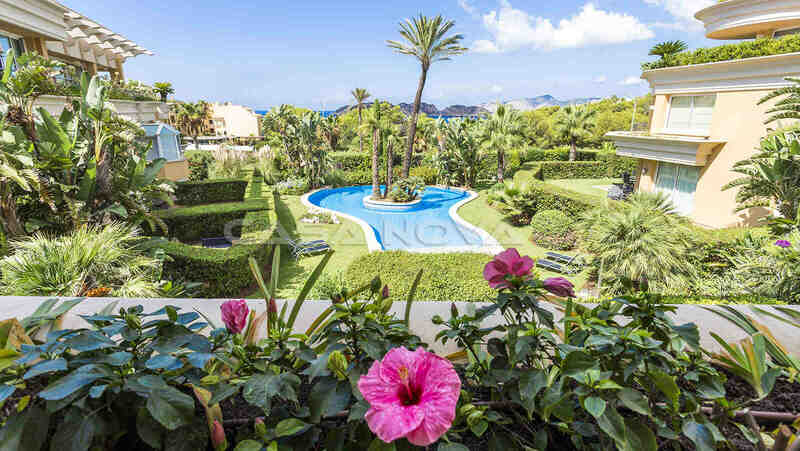 Real estate agent Mallorca: The apartment is located in an exclusive residence in the southwest of Mallorca, in Nova Santa Ponsa. It lies in 2nd sea line in south-west orientation. The small complex consists of only 18 owners and lies in a quiet area. 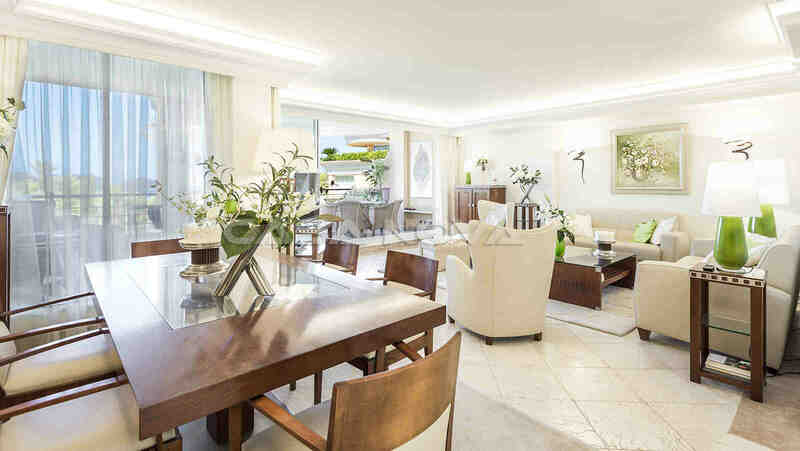 The extremely well-kept Mallorca property has a built-up living area of approx. 159 m2, as well as 18 m2 covered and 7 m2 open terraces. 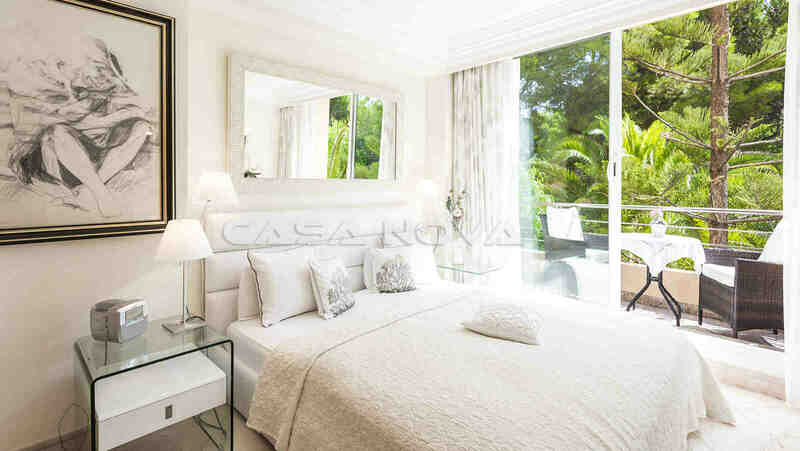 The apartment is divided as follows: A small corridor leads into the large, light-flooded living/dining room with an open fitted kitchen with brand name appliances from Siemens. This was newly installed in the summer of 2018 as part of a renovation. 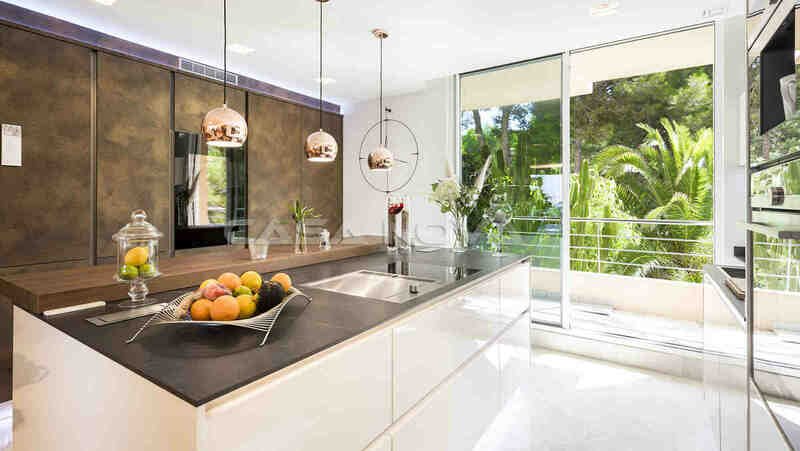 Large, double-glazed aluminum sliding door fronts open up the fantastic sea view with a view of the Malgrat Islands. 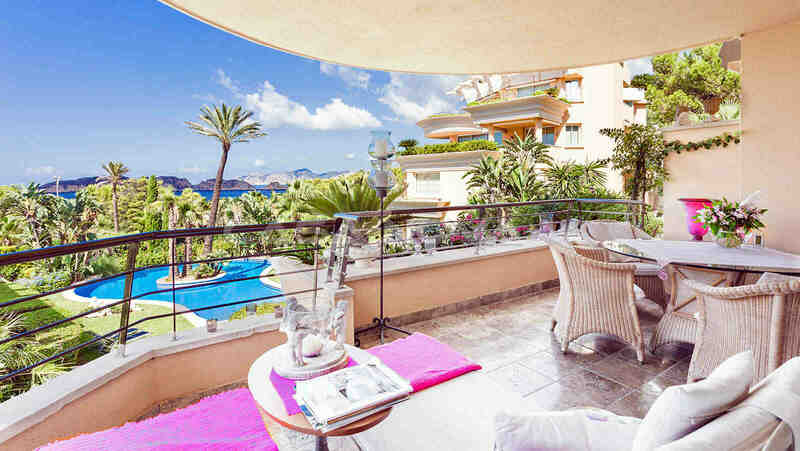 From here you reach the covered terrace in front of the house, from which you can enjoy fabulous sunsets in the sea. 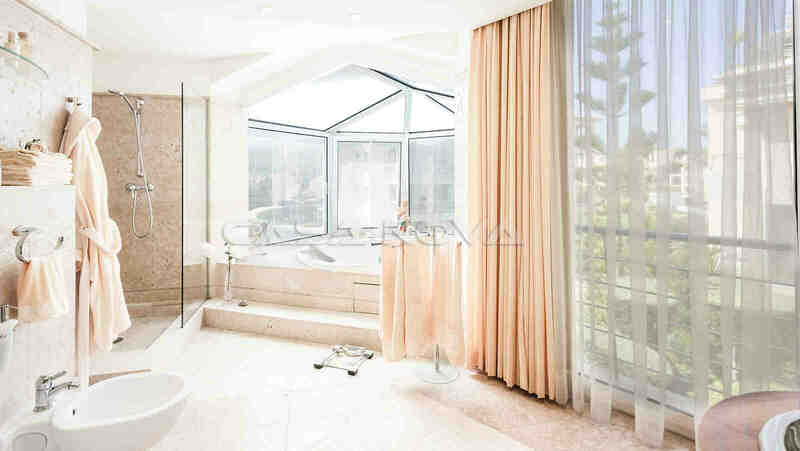 Master bedroom with bathroom en suite is equipped with Jacuzzi. 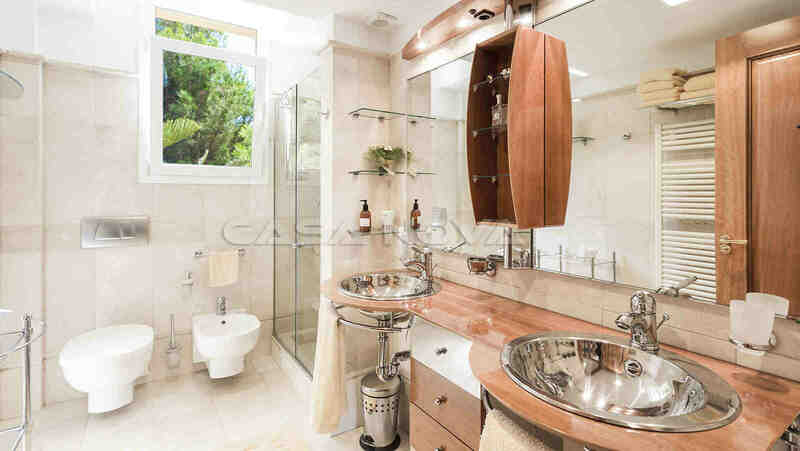 A guest toilet, two further bedrooms and another bathroom complete this exclusive apartment. 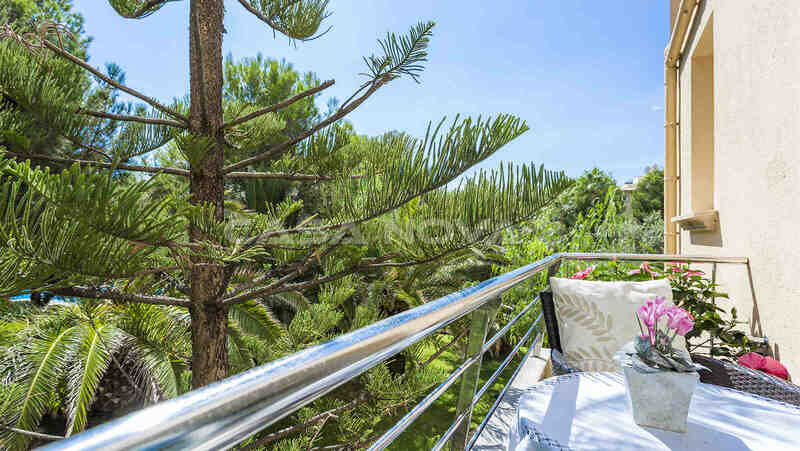 Further equipment features are: Marble floors, built-in wardrobes and bathroom furniture made of cherry wood, air conditioning hot/cold (new 2018), irrigation system for the terrace, glass fibre connection, drinking water treatment. 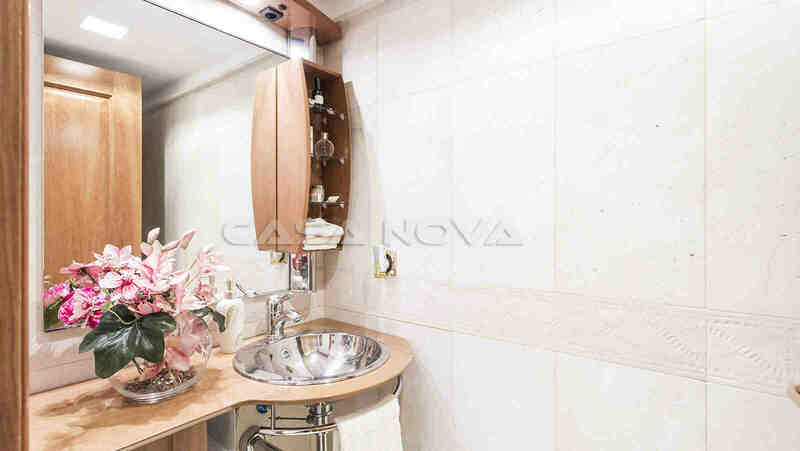 The apartment has an underground parking space with storage room, from which one can easily reach the living level on the first floor via an elevator. The high-quality furniture is available as an option. 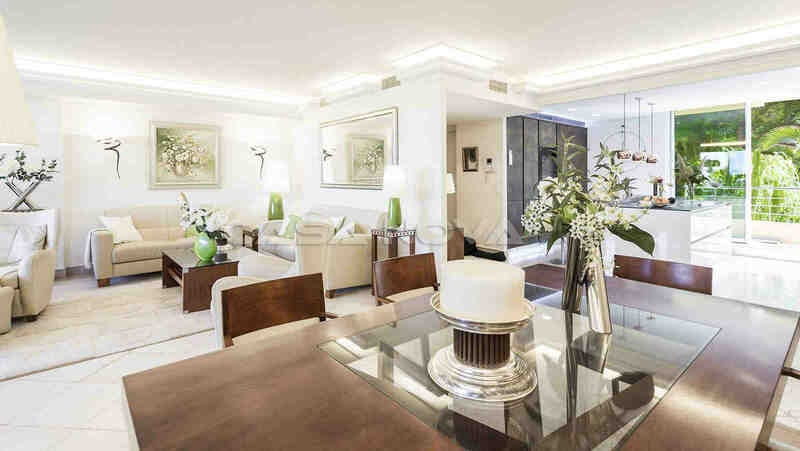 This extraordinary property is a jewel of outstanding quality and meets the highest demands. 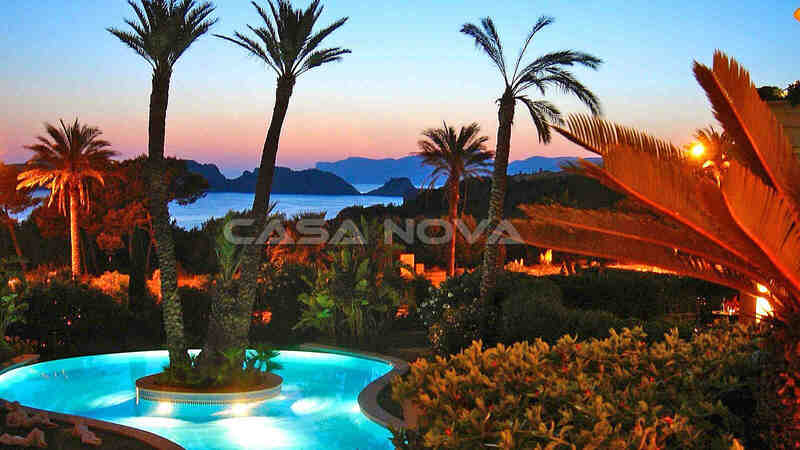 Nova Santa Ponsa is the exclusive residential area of Santa Ponsa.. 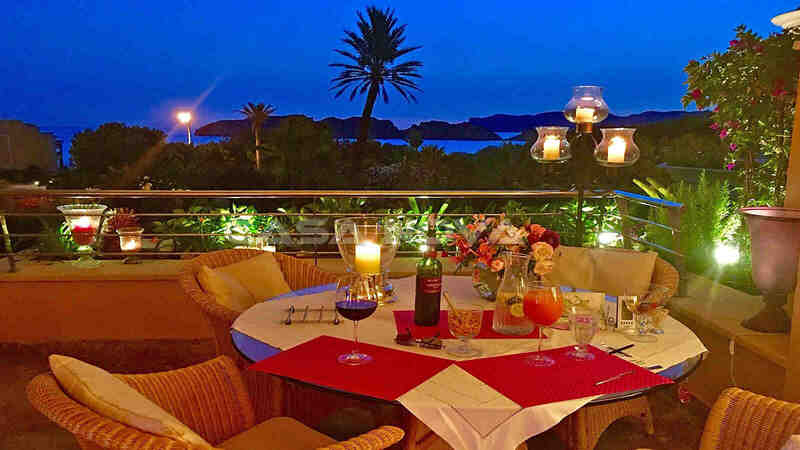 In the immediate vicinity is the famous noble yacht harbor Port Adriano, which can be reached on foot. There are numerous restaurants and bars, as well as boutiques and a supermarket. 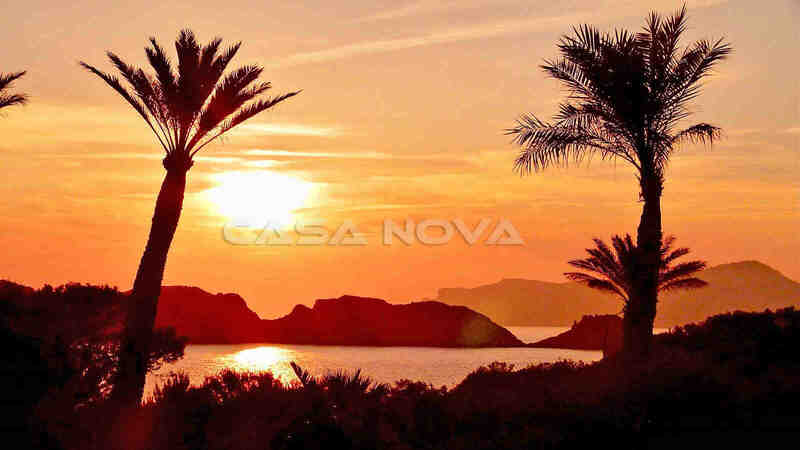 The center of Santa Ponsa can be reached in a few minutes by car. Here you will find everything you need for your daily needs. 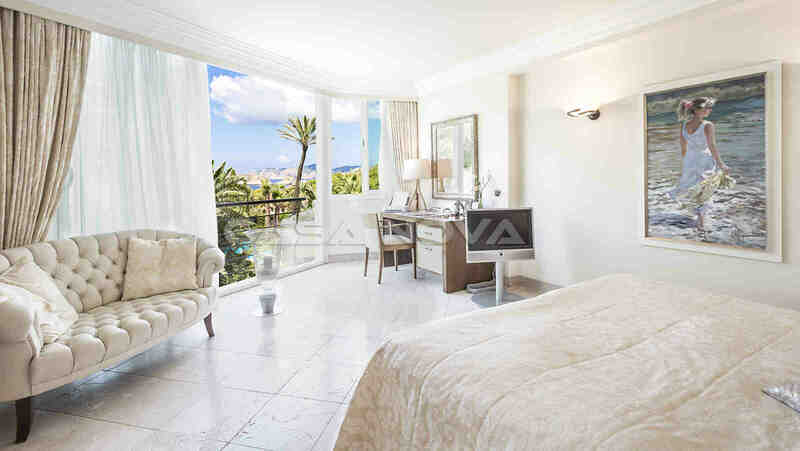 Supermarkets, international medical centers and pharmacies, other restaurants and bars, etc. . Santa Ponsa offers a wide range of leisure activities: three golf courses, sandy beaches with water sports, tennis courts and much more. International schools and nearby hospitals complements the perfect infrastructure. The island capital Palma de Mallorca can be reached in about 20 minutes by car, the international airport in about 30 minutes. 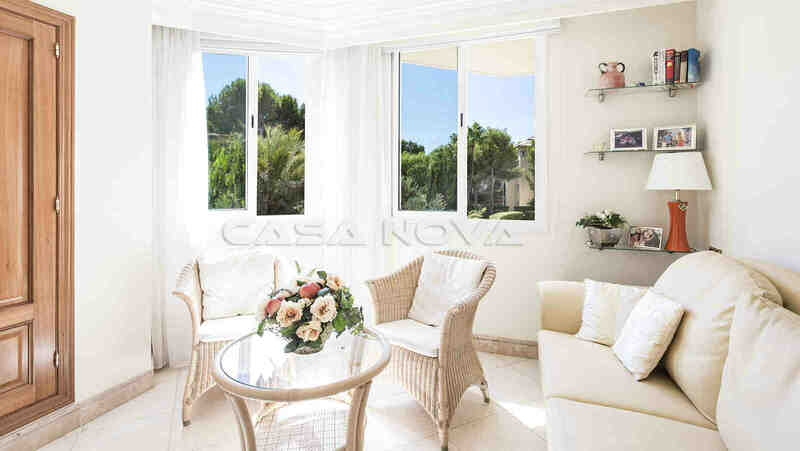 This elegant Majorca apartment is presented to you by your real estate agent Mallorca, Casa Nova Properties in Santa Ponsa. There is no commission for the buyer.